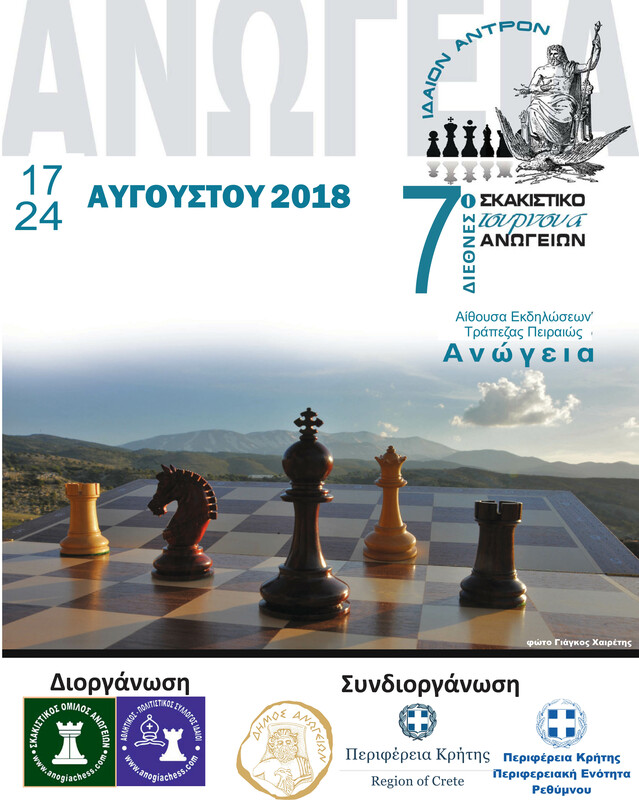 For the 7th consecutive year Anogia become an attraction of chess players from around the world to the international tournament “Ideon Andron” which this year moved in August instead of July, from 17 to 24 August. It is organized, of course, by the Overactive Chess Club of Anogia and the newly founded Sports-Cultural Association of Indians created due to the large spread of chess in the village. Co-organizers are always together in the work of local clubs, the Municipality of Anogia, the Region of Crete and the Regional Unity of Rethymnon. 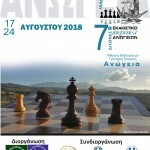 This year’s tournament is upgraded, having been held in 3 capacity tournaments, with the A group gathering the eyes of the international chess community that will have the chance to watch live through chess24.com the games of great players such as the Greek granmatter Halki, Griva, Italian grandmother Davide Alberto, who is a fanatical visitor of the institution and particularly loved in the local community. The first-time protesters are certainly the newly-born Poets of the International Nassau and Nguyen, as well as the powerful Greek international maestro Sotiris Malikentzos. Mavic and particularly dear to the local community is also the Montenegrin international lair Lekic, who is now known to all with his little name, Dusan, as there are only a few times when he does not miss the chance to broadcast some of his secrets to the young people of Anogia who have so loved and changed their lives through their involvement in this 64-square magic table. Chess players and chess players will compete from a total of 7 countries (Italy, France, India, Poland, Montenegro, Austria and Greece). This year, of course, there will be plenty of parallel events (fast chess, chess, chess, chess show, etc.). At the same time, visitors will once again have the great pleasure of tasting Anogian weddings, of which they were impressed in previous years their impressions in the rest of Greece and abroad. On the other hand, the organizers should show great inventiveness in order to ensure the conditions for peace of mind for the absolute concentration of of the participants at the same time that the village will win out of music and feast! Every year in Greece, more than 15 international chess tournaments are organized and each of them has their own color and interest. It is, however, a common consensus that the Ikaria and Anogia tournaments create a high-level sporting atmosphere that compensates for every forum and more both the participant and the visitor.